Betty Weller, our Step-Grandmother, who famously yelled at her wedding, “Don’t you dare call me Grandmother! I will kill you, I will kill you all!” was actually a very gentle and generous woman. 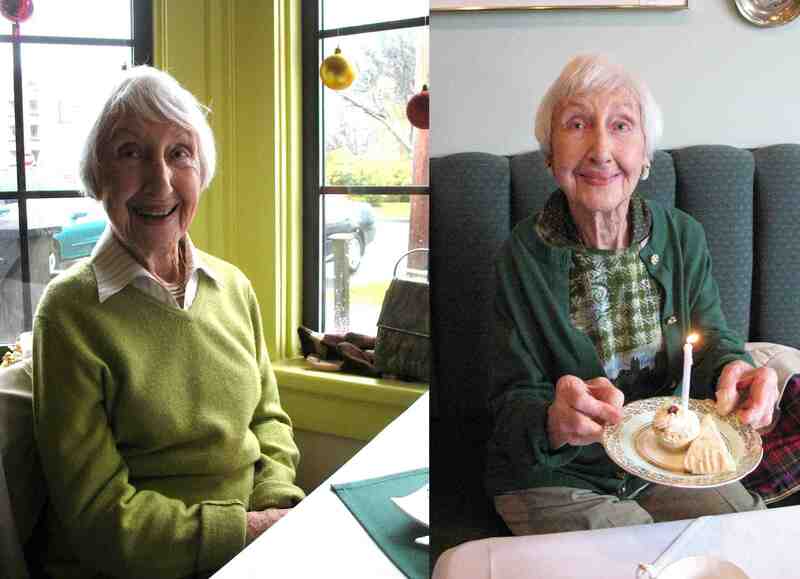 Betty recently passed away shortly after her 99th birthday inVictoria, B.C. She stopped driving at the age of 93! Betty married Raymond shortly after our Grandmother, Babs, passed away fifteen years ago. In her eighties, this was her first marriage. Betty and Ray were the best of companions, leaving us with many great stories. ~ by Duncan Weller on November 20, 2010.